This is the big one, the most important speech in business people's calendars Forget the speech to the shareholders at the AGM, opening trade shows or presenting to the board, it's the speech at the Christmas dinner that will be remembered by all your staff. What Sort of Christmas Speech? 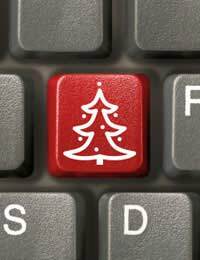 The content of a Christmas speech will vary widely depending on the type of company and the culture there. It will also depend on what sort of company 'do' you have. If it's a sit-down meal then there's more likely to be an expectation of a formal speech, if it's more of a disco setting then that's less likely and it'll just be a few shouted words over the sound system. It also depends on how far into the evening the speeches happen. If they occur fairly early in the event then there's a fair chance that no one will have drunk too much. If they occur later on you will have to make allowances for fact that many people will have had enough drink to have an effect on the ambience of the Christmas dinner. Introducing a speech at a Christmas dinner or dance has to be a light-hearted affair, no one's going to be taking what you say particularly seriously. The chairman or managing director will be expected to say something rather than not have any speeches at all. Example: Thanks to everyone for coming along to our Christmas Dinner/Dance/Disco. I won't keep you for long (pause for heckling) but there are a few people I'd like to thank for their efforts this year and then we'll get on with the entertainment. It's worth having some awards to give out during the Christmas dinner speech. This will gain people's attention and give you something to talk about. If you don’t then pick out a few highlights of the year that's just passed and talk briefly about those instead. Examples: As well as our serious awards we have some that just for laughs. Step forward Aaron Hart, winner of the most damage to a company vehicle this year! At the end of the serious stuff and the not so serious stuff, close the speech and introduce the next step of the entertainment, if there is any. Don't forget to wish people all the best for the holiday season too. You might remind people when they are required back! Example: Please put your hands together for the people who have organised this fabulous event for us – (name them) – and I wish you all the best for Christmas and the New Year. Don't forget we'll all be back on the 4th and I'll now leave you in the hands of Gerry and his fantastic disco for the rest of the evening. Enjoy yourselves and have a Happy Christmas!